François Mitjavile’s 2006 Tertre Rôteboeuf is an absolute joy to taste. Generally speaking, I am not a huge fan of the 2006s because so many wines are gamy, rustic and rough around the edges. There are no such issues here. 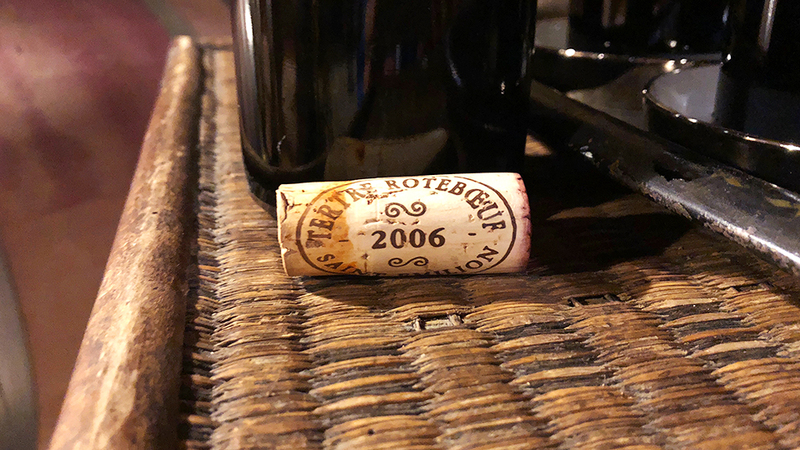 Wonderfully perfumed, with striking inner sweetness and layers of fruit, the 2006 Tertre Rôteboeuf is exceptionally vivid from the very first taste. The 2006 remains quite fresh for its age and is only just beginning to show signs of arriving at its first plateau of maturity in its aromatics. On the palate, though, the wine is still quite deep and almost shockingly concentrated. Opulent dark fruit, grilled herb and chocolate flavors all flesh out effortlessly. A sheen of new French oak brings it all together and gives the wine its distinctive feel. All of the signatures of François Mitjavile’s quirky, personal style come through in this deeply expressive, hauntingly beautiful Saint-Émilion. In a word: superb! 95/Drinking 2018-2033.